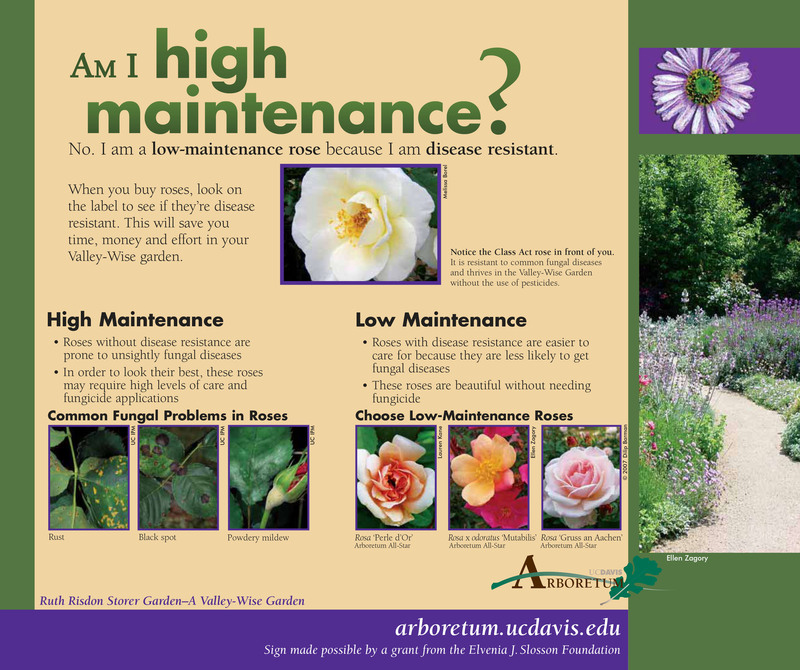 Students, faculty, staff and volunteer community members develop the content for every permanent exhibit in the UC Davis Arboretum and Public Garden using an in-depth interpretive signage creation process. 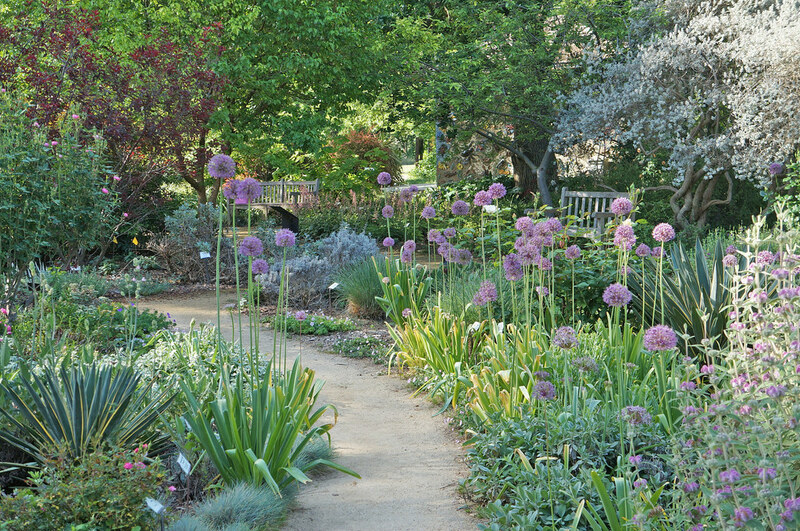 The Ruth Risdon Storer Garden is a Valley-wise garden, featuring flowering perennials and small shrubs that are especially well suited to Central Valley gardens, including many Arboretum All-Stars, our recommended plants for Valley-wise gardens. It is designed for year-round color with low water use and low maintenance, and features a demonstration planting of roses and companion plants. Educational exhibits highlight the principles of sustainable gardening. The garden is named for Dr. Ruth Storer, Yolo County’s first pediatrician and an avid gardener. Valley-Wise gardening uses plants and practices suited to Central Valley conditions. Mulch is a protective covering spread on the ground around plants. It improves the health of your garden. Mulch protects the soil and improves the appearance of the home garden by blocking sunlight to prevent weed growth and protecting soil from losing water to evaporation and run-off. By growing buddy, or companion, plants around your roses, you can attract beneficial insects that eat aphids and other pests (without using chemicals! ).